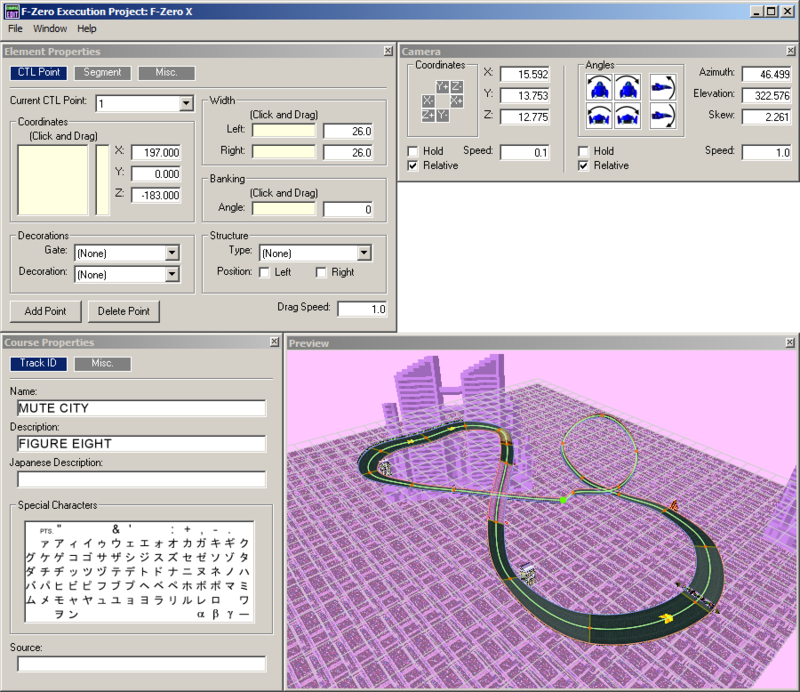 As the name says, this is a track editor for F-Zero X. Tracks can be made from scratch or you can load one of the included sample tracks that have been created by the MrFixitOnline members and others. Even the F-Zero Expansion Kit courses have been included! Also note though, since you are actually replacing the tracks that were in the original game, the CPU players will race faster on tracks that were originally fast (like if you put Sector β in place of Silence, it would be very hard to win - likewise putting Silence over Sector β would make it very easy to win). So keeping track-length similar to the original track is a good idea.